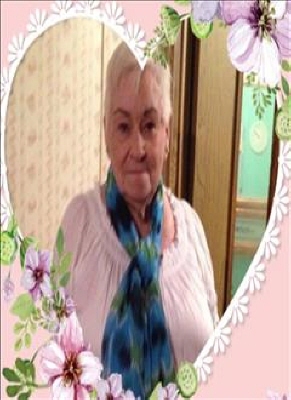 Former Holdenville resident, Lois Marie Glover of Grandbury, Texas passed away on March 17th, 2019 at the age of 85. Lois was born June 27th, 1933 in Holdenville, Oklahoma to Hillary and Hester Durbin. Lois graduated from Holdenville public schools. She married Billy Ray Glover December 5th in Holdenville, Oklahoma. Lois was a cook at the Senior Citizens in Grandbury, Texas. She loved reading, working and family were her life. Lois is preceded in death by her parents, her husband Billy Glover and her daughter Teresa Harris. She is survived by her daughters; Twilla Harris of Grandbury, Texas, Sharon "Ranette" Clay of Atoka, Oklahoma and her son Billy Ray Glover, Jr. of Glen Rose, Texas, nine grandchildren and numerous great grandchildren as well as many other relatives and friends. Graveside service will be 11:00AM Monday March 25, 2019 at the Holdenville Cemetery in Holdenville, Oklahoma with Stacy Roy officiating. To send flowers or a remembrance gift to the family of Lois Marie Glover, please visit our Tribute Store. "Email Address" would like to share the life celebration of Lois Marie Glover. Click on the "link" to go to share a favorite memory or leave a condolence message for the family.